Jutting 700 feet into Kellers Shelter, a small bay named for Don Mateo Keller, an owner of the ranch in the 1800s and a pioneering California winemaker Malibu Pier is home to the The Beachcomber Cafe (formerly Alice’s Restaurant, inspired by the Arlo Guthrie song). 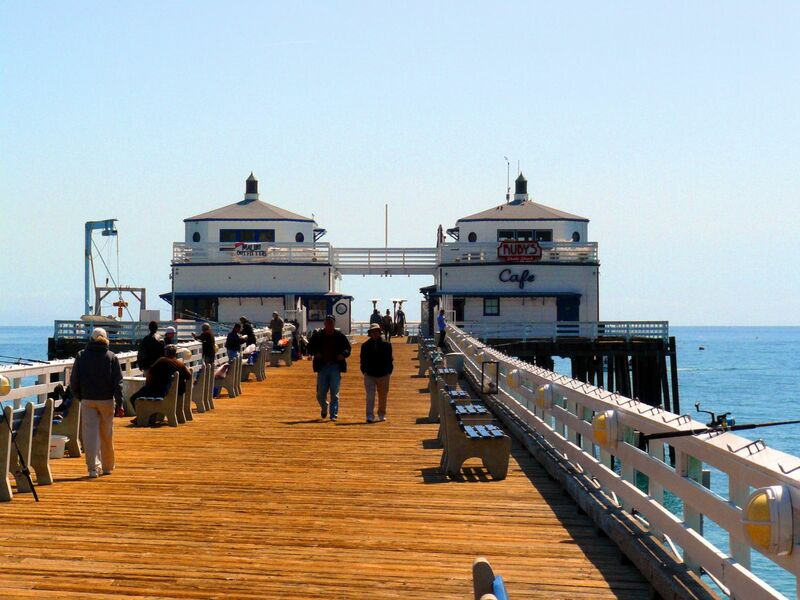 Its a bar and restaurant featuring seafood with a mid-1940s atmosphere, and the Malibu Pier Club, which opened in 2008 serving cocktails and lighter fare from a small indoor bar and an outdoor deck. 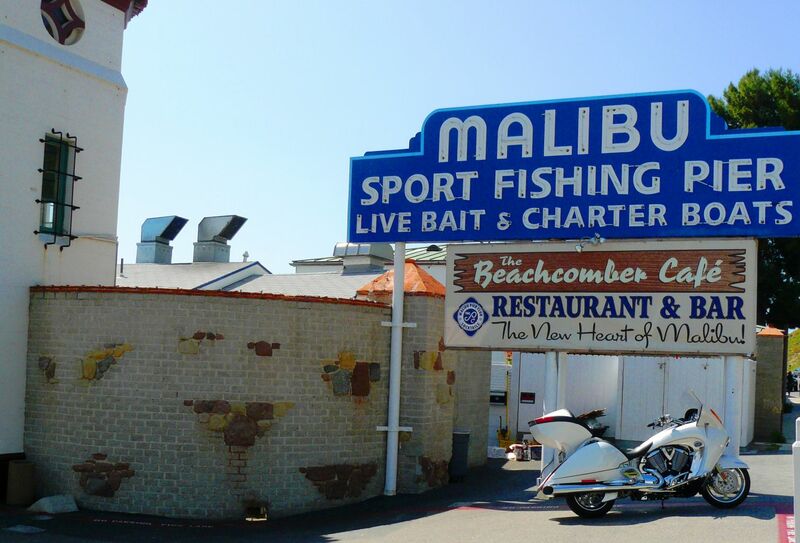 Malibu Offers some fantastic motorcycling by way of Mulholland Highway and Malibu Canyon Road.